Woodpecker Class treated us to an assembly on Thursday 29th November. 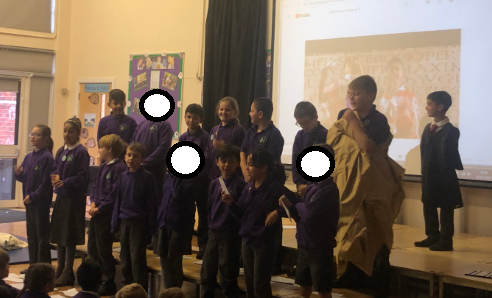 They entertained us by singing a song about the Romans and told us all the things they have learned about the Romans since September, including things they discovered during their trip to Reading Museum. We also heard about their maths and English work. They have been very busy!